Some time ago Ford asked kids for help to design a dream car for their mothers. Their innovative responses included an underwater car; a race car with a smoothie dispenser and a private pool; a robot chauffeured limousine so that moms could indulge in pamper sessions while being driven around, and a car equipped with a washing machine and kitchen that runs on love instead of fuel. The EcoSport is built and designed to make life a bit easier – whether it’s negotiating the school run, fetching bags of shopping or heading off for a pamper session or coffee date with friends. 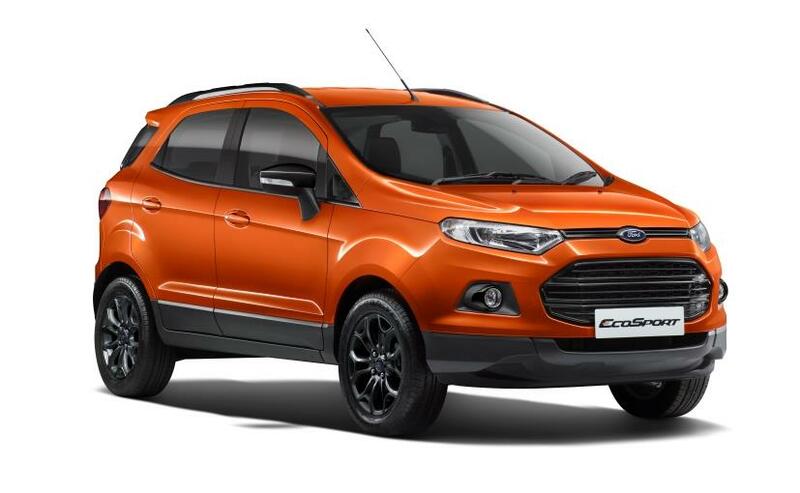 EcoSport has the affordability of a compact car, with the versatility and spaciousness of an SUV.The 1.5l engine delivers excellent fuel consumption and the Powershift automatic gearbox increases fuel efficiency even further. That said, EcoSport is no slouch and has more than enough power on tap when you need it. There is enough space to comfortably seat five adults. The cabin has a generous amount of practical storage compartments, including a glove box that can keep up to six beverage cans cooled. The rear seats have three reclining settings and folds down easily when additional cargo space is needed. safety is a special concern when the passengers are little people. The EcoSport boasts an array of airbags, including airbags for the driver and front passenger as standard, offering extra peace of mind. The Anti-Lock Brake System (ABS) is available on all models ensuring that the wheels never lock-up, and coming to a halt can happen quickly on slippery road surfaces. The EcoSport has high ground clearance of 200 millimetres, and has exceptional ability to wade through 550 millimetres of water. The hill launch assist feature, available on the PowerShift derivative, makes pulling off on a slope an absolute doddle, offering the driver time to smoothly accelerate, either up- or downhill, without rolling or losing control. It is fun to drive! This car makes driving fun and intuitive with an array of smart features. It offers Ford SYNC®, the voice-activated in-car connectivity system powered by Microsoft. This means the driver can keep their eyes on the road and hands on the wheel while choosing their favourite music and making phone calls using voice commands.